Magen David Adom issues advisory calling on public to take precautions to prevent injury, illness during colder winter months. 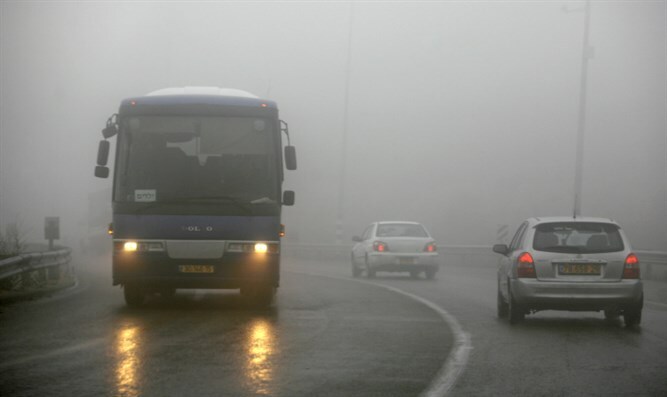 Magen David Adom (MDA) is prepared for winter and the colder weather expected to face many areas of Israel this week. MDA is prepared to tend to emergencies of people hurt as a result of the colder weather. MDA Director General, Eli Bin, has instructed teams operation on the field to take several precautions in order to remain as highly prepared as possible to provide rapid, professional and full emergency medicine services to anyone in need. Following the weather shift, MDA shares various safety guidelines for a safer winter, in order to learn how to protect ourselves and our loved ones at home, while on the street and more. Avoiding Bodily Injuries: In case of a power shortage, for patients connected to respiratory machines at their homes, ensure that backup batteries are available and prepared for use. Strong Winds: While strong winds blow around Israel, many objects may detach from their placement. Ensure to fasten objects found outdoors that may blow in the wind. Beware when opening and closing windows as they may slam due to the strong wind. - Prevent fire – keep heating devices based on fire away from flammable objects, do not leave clothes to dry over such devices and make sure the electricity socket being used is in order. -Keep them out of the reach of children. - Poisoning symptoms: dizziness, nausea, vomiting, fatigue, weakness, a general bad feeling. In severe cases – loss of consciousness. This is a dangerous emergency situation. Make sure to dress the elderly, babies and the disabled appropriately in light clothing that allows movement that creates heat. Cover them with a light blanker and make sure the room is at 24 degrees Celsius. Attention – do not cover babies with many layers or a heavy blanket as that may cause asphyxiation. Additionally, do not leave objects in the baby’s crib. Signs of low body temperature: These include decreased functioning, confusion, decrease appetite or thirst, change in behavior and sleepiness. If these symptoms begin to appear, immediately call MDA using the 101 emergency line or “My MDA” mobile app. Safe Driving: On rainy days, roads are slippery and drivers face a risk of sliding even when driving slowly. Pay attention to steam that accumulates on the windshield and may block the driver’s view. The avoid that, allow ventilation in the vehicle and defrost constantly. Drivers must drive with lights on. Pulling over at the side of the road is prohibited and dangerous, only stop in designated areas. Pay special attention to pedestrians and give them the right of way – especially children near educational institutions. Do not drive into puddles even if they do not seem deep. Vehicles may drift easily in flooded areas and the driver may lose control over the vehicle. Do not remain in the car in cold weather in order to avoid falling asleep and suffering from hypothermia. Injuries Resulting from Cold Weather: Here’s how you can provide preliminary treatment to individuals suffering injury as a result of the cold weather. - Treatment: in case the patient is wet change their clothes and warm them up. In any case, the patient must be kept dressed, dry and warm. - Signs: cold limbs, pain, numbness. - Treatment: defrost frozen area with warm water. . Do not massage. In any case of unusual behavior or suspicious signs, immediately call MDA using the “My MDA” mobile app or dial 101 to reach MDA’s emergency line and adhere to the instructions of the EMTs and paramedics at the dispatch center until the arrival of a team to the scene. Download the “My MDA” mobile app to directly contact the EMTs and paramedics at the emergency dispatch center and share your precise location with MDA teams. Anyone can download the app (free of charge) and plug in valuable medical data into the in-app mini medical record such as: chronic diseases, allergies, sensitivity to medication, ECG, previous illnesses and more. The app allows the speaking and hearing impaired to easily call for help by text messaging with the EMTs and paramedics at the MDA dispatch center.